From 1 September 2019 a reformed suite of English and maths Functional Skills qualifications (FSQs) will be available. This follows a decision made by government in 2015 to reform FSQs in English and maths. While the level of demand for the qualifications will remain the same, the reform process will ensure that these qualifications better meet employer needs in terms of the knowledge and skills that learners achieve. We know that when qualifications change, it can take some time for teachers to get used to the new versions, often because there are fewer resources available. We will expect Awarding Organisations (AOs) to take this into account when setting pass marks for the reformed qualifications so that learners are not disadvantaged. We will be publishing a further blog about how we will work with AOs to maintain standards later in the year. From September, all new students starting an FSQ in English or maths will be enrolled onto the reformed qualifications. This blog will take you through some of the changes. The Department for Education (DfE), which is responsible for subject content, has introduced much more specific common content. In this new content, there is more emphasis on the underpinning knowledge and skills that learners need. For English, this includes a focus on spelling, punctuation and grammar, without the aid of dictionaries or spell checks. At Entry levels, there will be detailed reading and spelling expectations based on the structured teaching of phonics. For maths, the content draws upon the underpinning knowledge and skills needed to solve mathematical problems, both with and without a calculator. You can find the full subject content for both English and maths on the DfE’s website. We have used the reform as an opportunity to strengthen the design and delivery of FSQs, better securing comparability between the qualifications over time and across different awarding organisations. In order to do this and make sure these qualifications meet DfE’s expectations, we have thought carefully and refined our thinking in response to consultation feedback about how to regulate these qualifications. Based on feedback to our consultations, we kept some of the features that worked well in legacy FSQs, for example continuing to permit on-demand assessment and using a Pass/Fail grading system. We have also made some changes to the qualifications, including changes to the duration of assessments and, in line with DfE expectations, there will be an increase in the number of guided learning hours to 55. In addition, Level 1 and Level 2 assessments (with the exception of Speaking, Listening and Communicating in English) continue to be set and marked by the awarding organisations. Our rules also allow the context of Entry level assessment tasks to be adapted by teachers to reflect situations in which their students may use the skills being assessed. All new FSQs are going through our technical evaluation process before being made available, so that they are of high quality and support consistent assessment and awarding. A combination of independent subject experts and Ofqual assessment experts have reviewed a range of materials against our rules. These materials include the specification and the sample assessments. During this process, we have considered issues such as level of demand, coverage of the DfE’s subject content, and the quality of questions and their associated mark schemes. We have also reviewed each awarding organisation’s assessment strategy, the key document in which they explain their approach to the design and delivery of their qualification. We have already completed our technical evaluation for a number of qualifications, and many more are nearing the end of the process. The status of each of the qualifications in development is outlined here. First teaching of these qualifications is 1 September 2019 and, from this date, new learners will need to be registered for the new versions of FSQs. 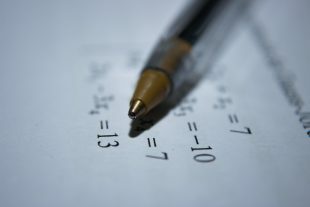 Learners already registered on legacy English and maths FSQs will have until 31 August 2020 to be awarded their qualifications, after which they will be withdrawn. A number of qualifications have already gone through technical evaluation and are ready to be made available to schools and colleges. We have contacted all awarding organisations offering reformed FSQs and asked them to publish their draft specifications and sample assessment materials. This will give teachers a broad idea of the overall paper and mark scheme design to allow them to prepare effectively. We continue to work closely with awarding organisations through our technical evaluation process to ensure high-quality, valued qualifications which learners and users can trust. You can find more information about the changes to FSQs on our Functional Skills Collection page. How are teachers and students responding to new GCSEs and A levels?